Mr. Jones’ practice focuses on the defense of claims arising under the Longshore and Harbor Workers’ Compensation Act and the Defense Base Act, as well as complex litigation involving products liability, wrongful death defense, premises liability and personal injury defense. Mr. Jones received a Bachelor of Science degree in Business Administration – Marketing in 2010 from the University of Florida. 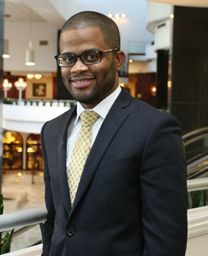 In 2014, Mr. Jones graduated from Florida State University College of law with Honors and was listed on the Dean’s List. Mr. Jones received the Academic Excellence Book Award in Florida Workers’ Compensation and Statistical Inference in Law. Mr. Jones began working as a Summer Law Clerk at Brown Sims in 2012. Mr. Jones was admitted to the Florida Bar in September 2014. He is an active member of Phi Alpha Delta Law Fraternity, International.